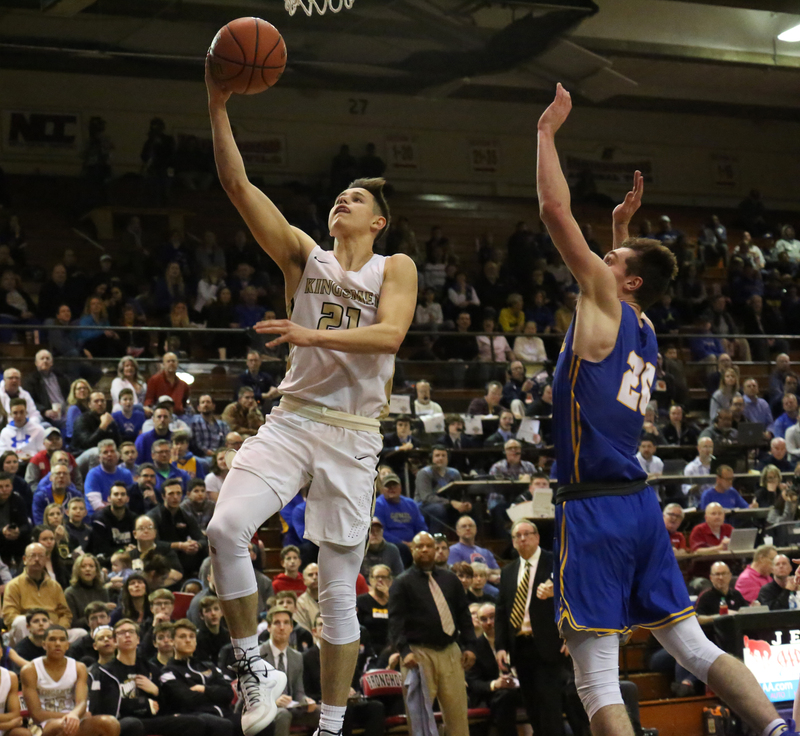 The Penn High School Boys Basketball Team’s historical run for the State Championship came to a heartbreaking end on Saturday, March 16. 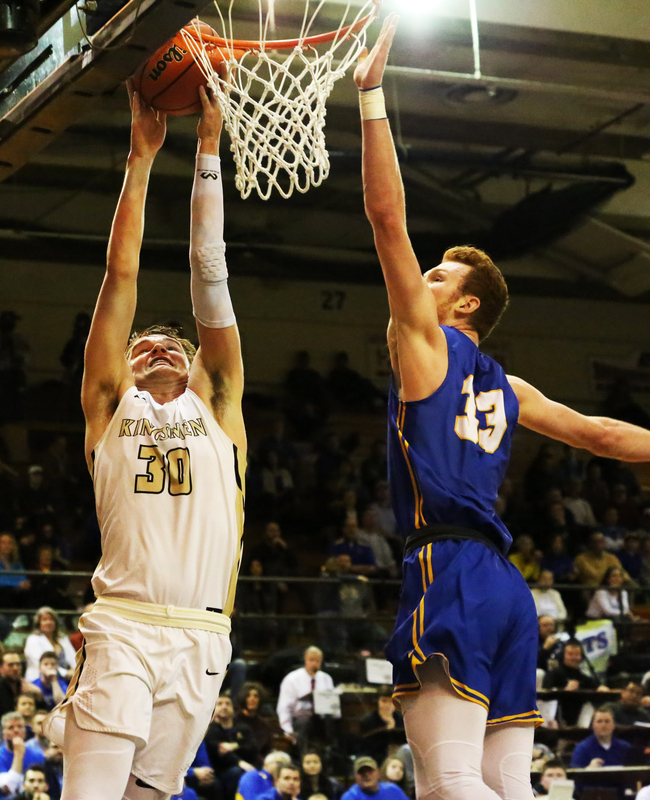 The Kingsmen reached the Class 4-A Semi-State taking on No. 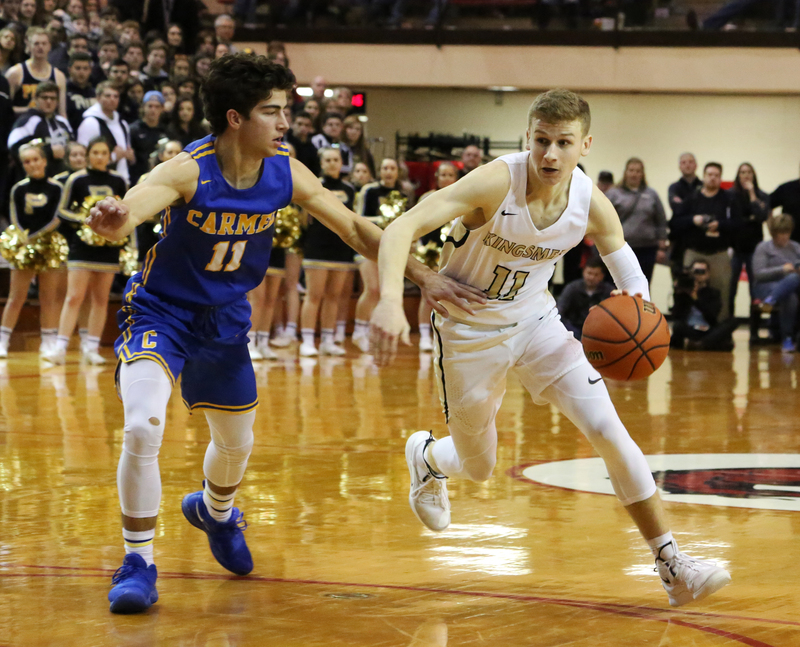 1-ranked Carmel, but lost 71-42 (click to see the photo gallery below, and click to read the game highlights). Head Coach Al Rhodes won his 600th career win over Washington (71-56) on December 13, 2018. 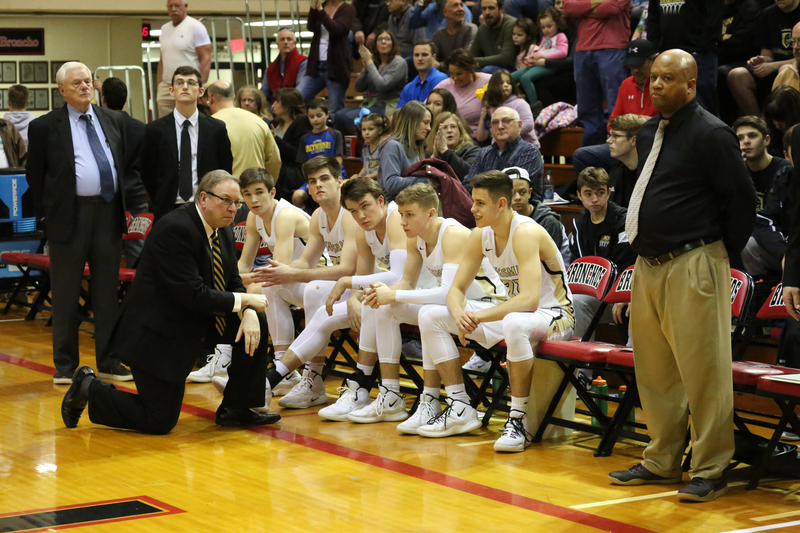 Coach Rhodes is only the 14th coach in Indiana High School Boys Basketball history to have 600 career wins! 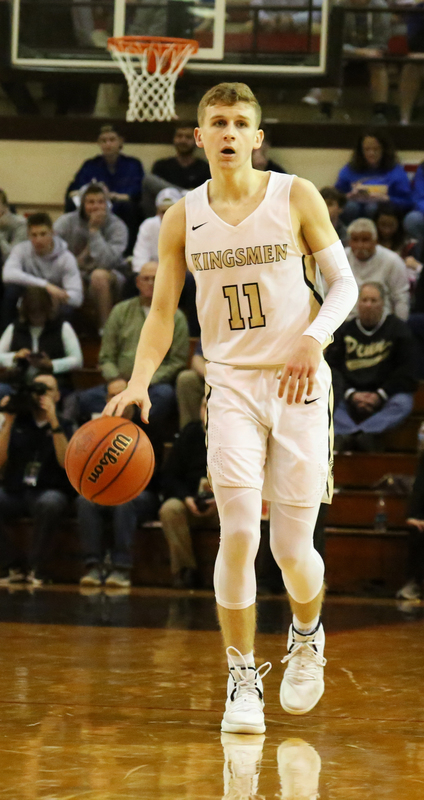 Senior Noah Applegate wrapped up his Kingsmen career with 1,709 points! 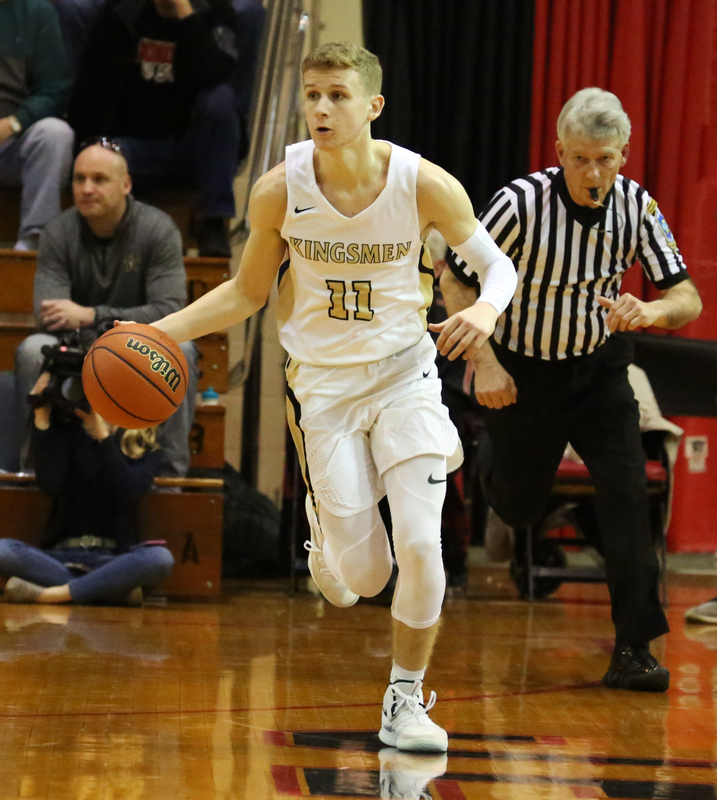 Back in January, Applegate surpassed the 1,433 mark set by Keith Berkey (1960-64) 55 years ago to become Penn’s All-Time Leading Scorer. 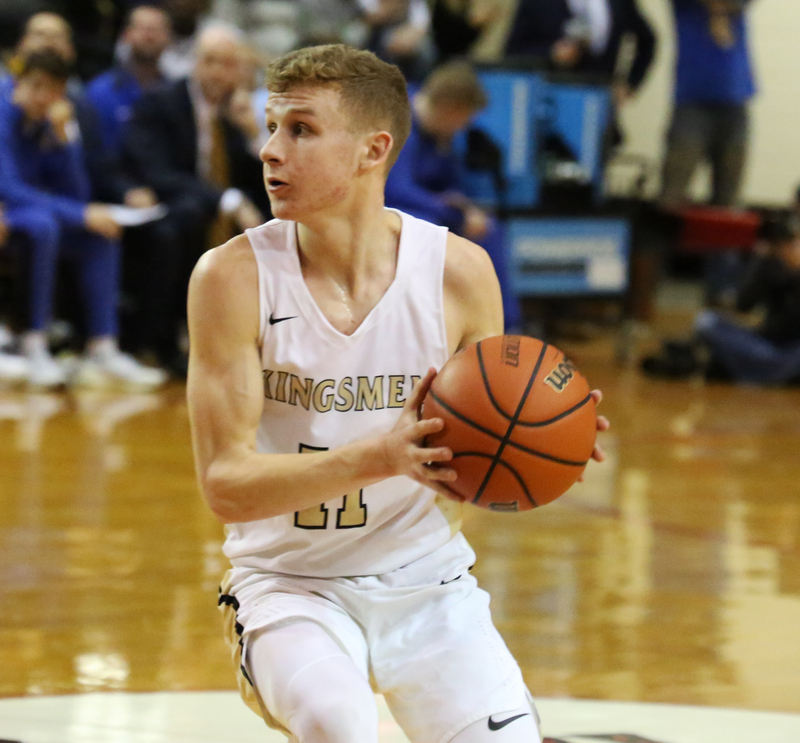 Senior Drew Lutz became just the seventh player in Kingsmen Boys Basketball history to reach the 1,000-point mark. 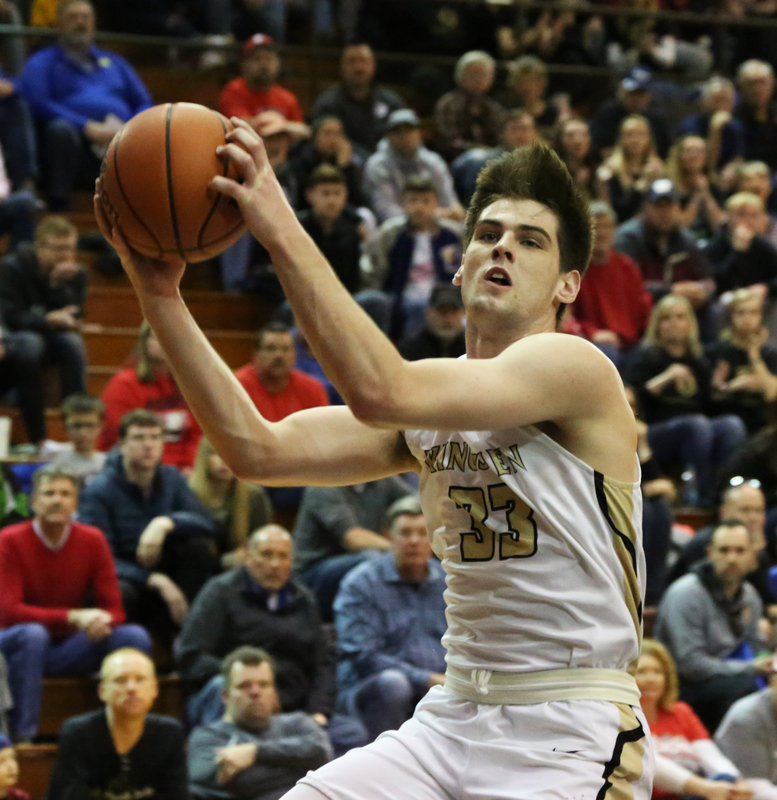 Lutz hit the milestone with a dramatic 4-point play during Penn's run to the IHSAA Sectional Championship. 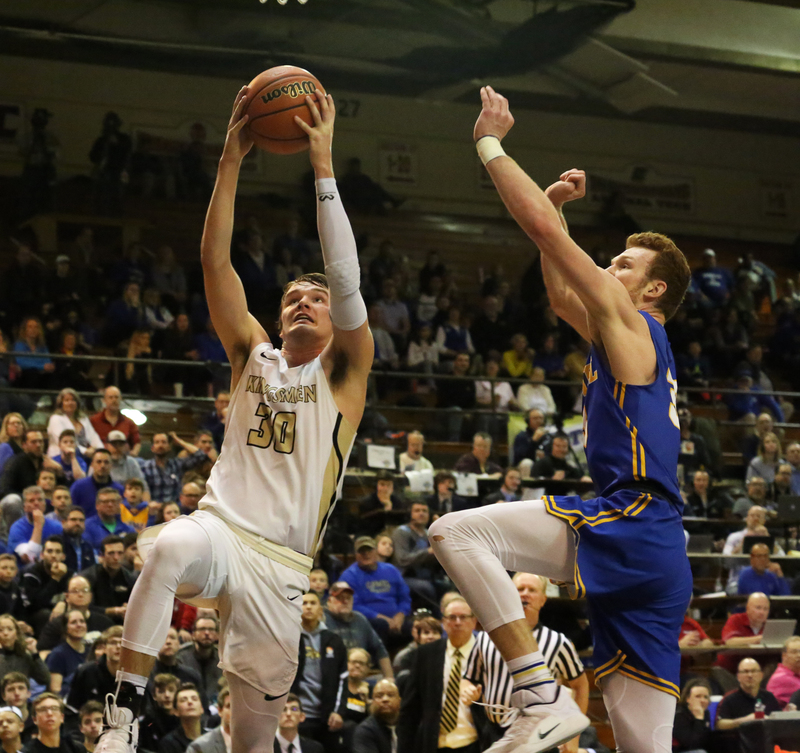 The Kingsmen had a few heart stopping moments that got them to the Semi-state. 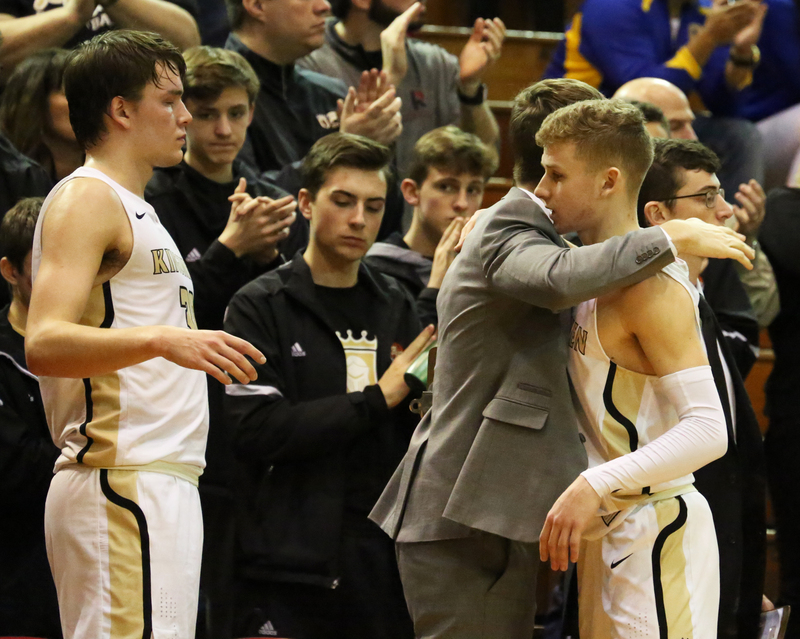 To claim the Regional Championship the Kingsmen battled it out to the bitter end in a buzzer-beater 74-72 victory against Northridge on March 9 (click to read the game highlights). 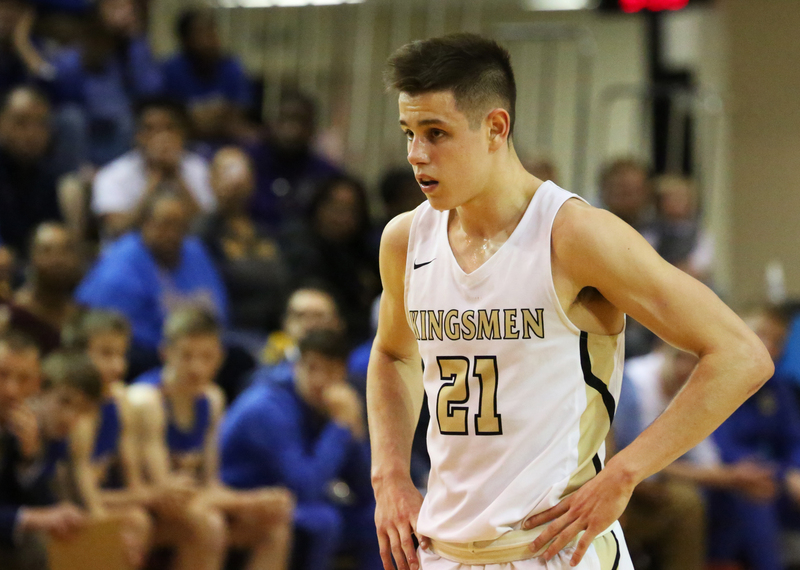 Earlier in the day the Kingsmen pulled away in the fourth quarter to defeat Chesterton 49-42 (click to read the game highlights). 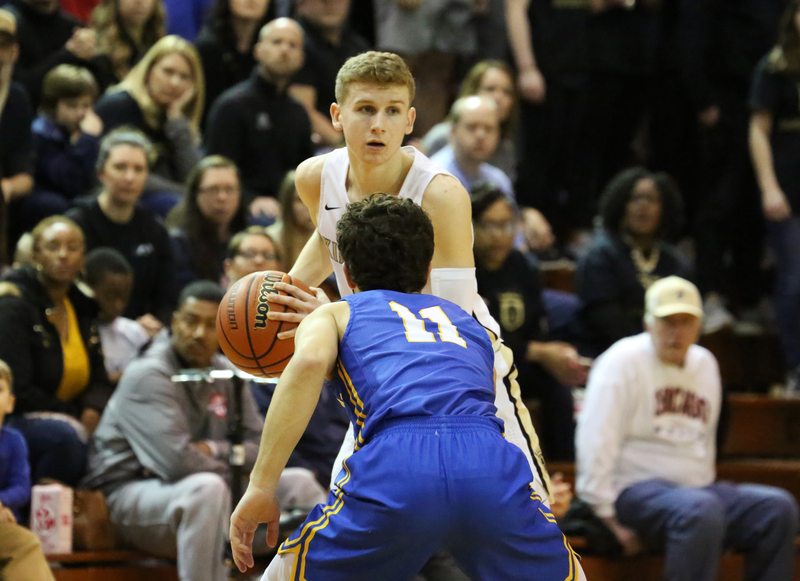 The Regional Championship win was the seventh Regional Championship for Penn and the first since 2006. 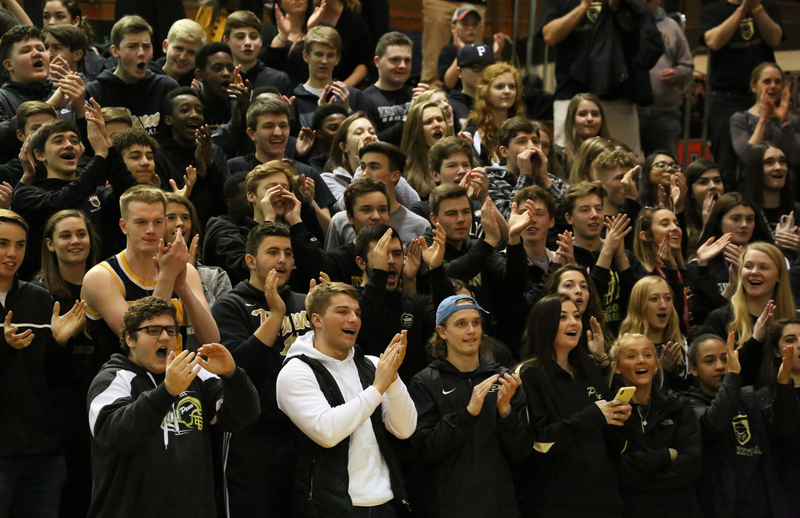 The Kingsmen enjoyed their Sectional Crown win on their home court on March 2. 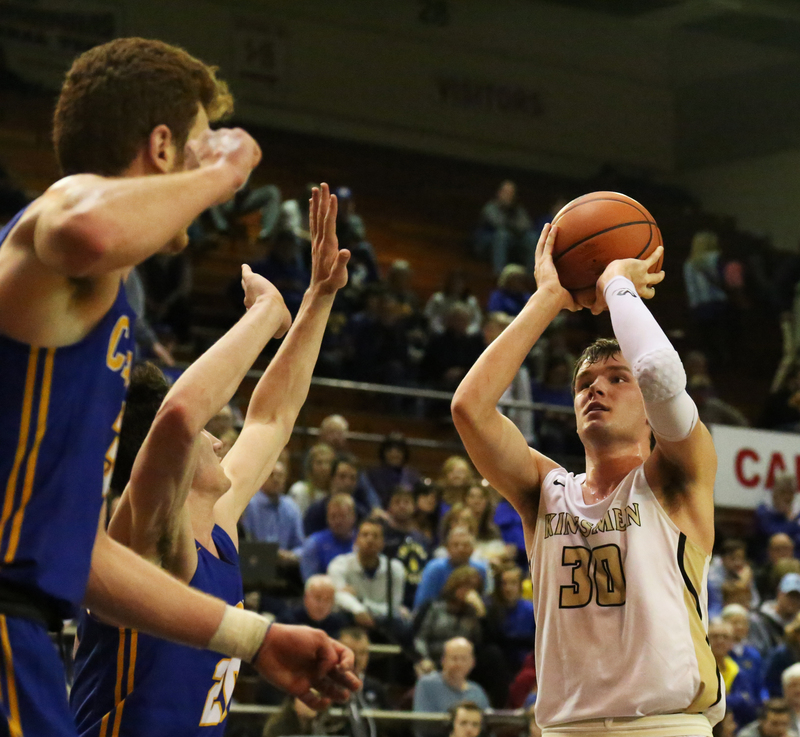 All-State candidate Noah Applegate scored 27 points leading the team to a 63-60 victory over South Bend Adams. 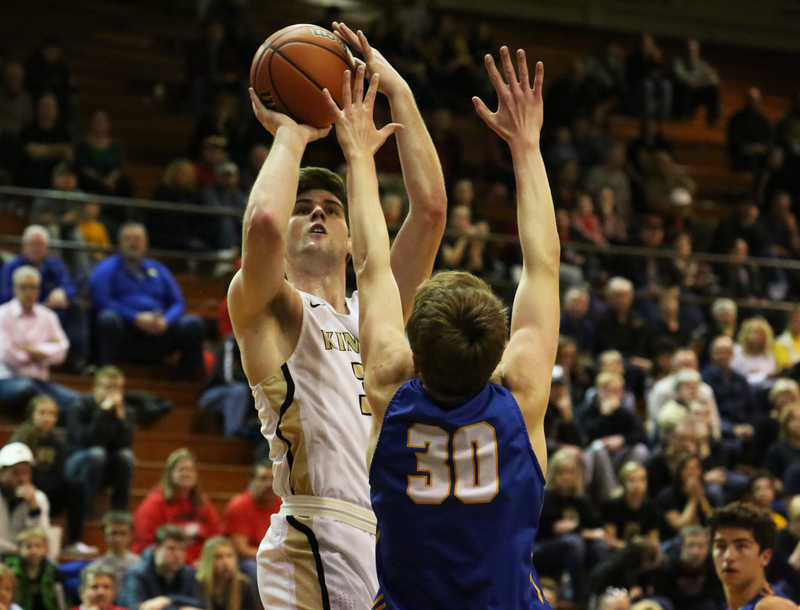 The Sectional Championship is the16th in Penn Boys Basketball history and the first since 2014 (click to read the game highlights). 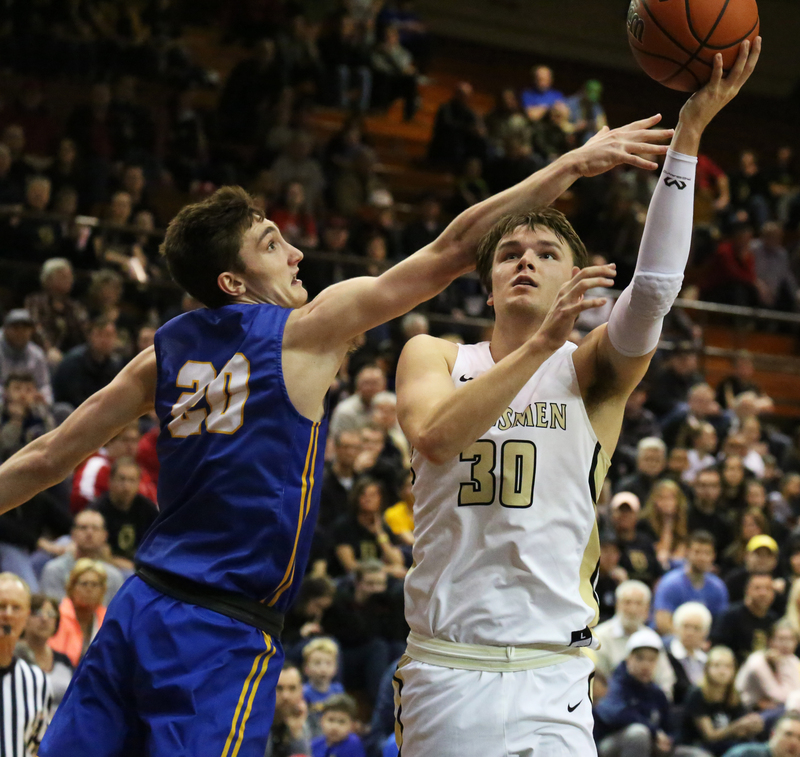 To get a shot at the Sectional Crown, Penn (ranked No. 9) had to go up against South Bend Riley (No. 10) on February 26. 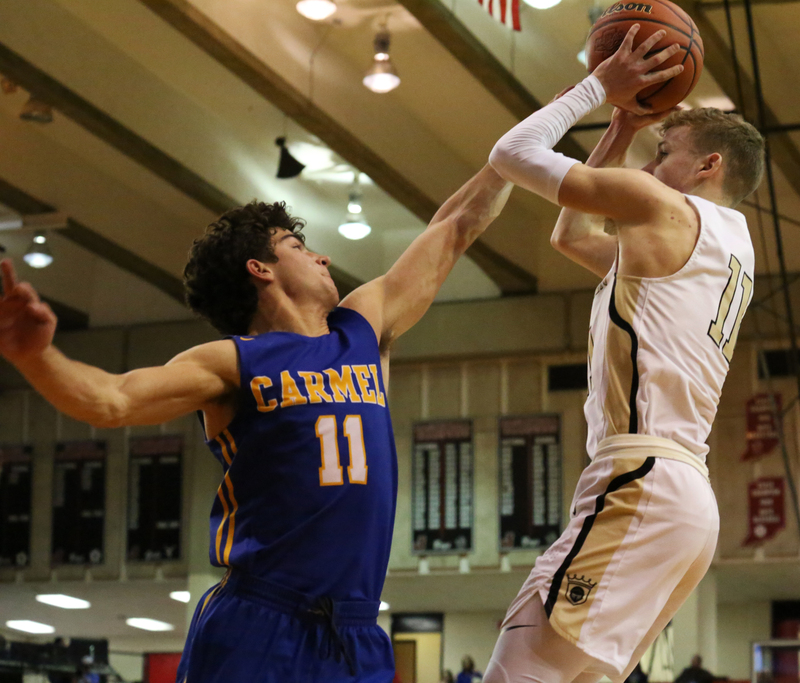 Penn came out on top of this nail biter on top with a close 50-48 victory. 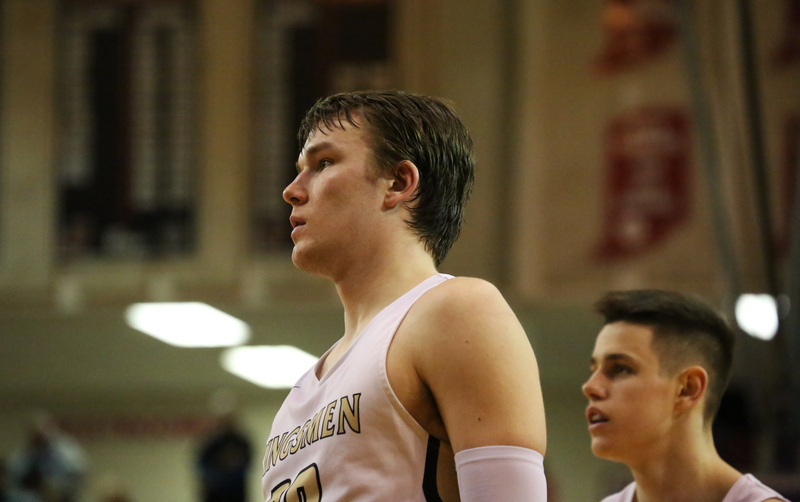 Senior Kegan Hoskins scored 12 points and also fought for nine rebounds. 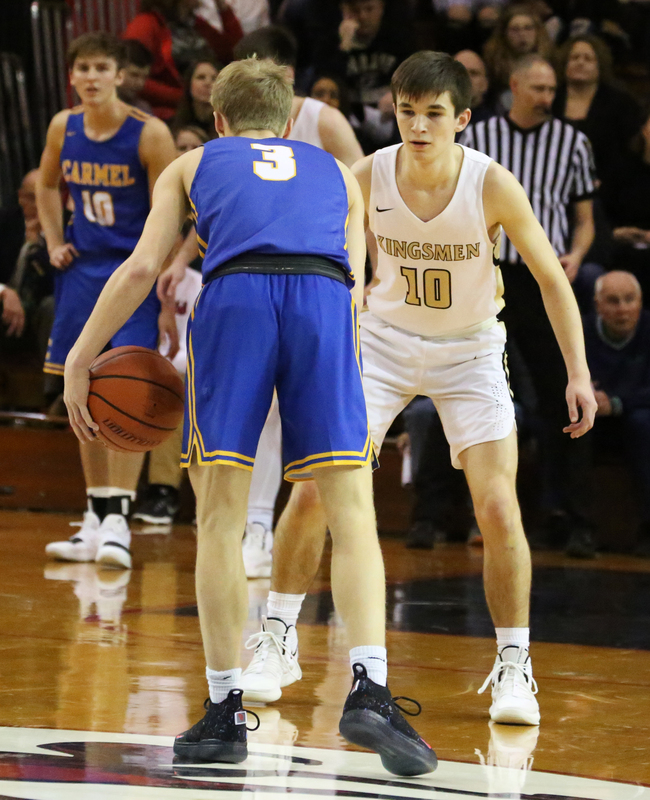 Hoskins made a stunning play in the fourth quarter, sprinting the length of the court and soaring for a blocked shot to snuff a Riley fastbreak. 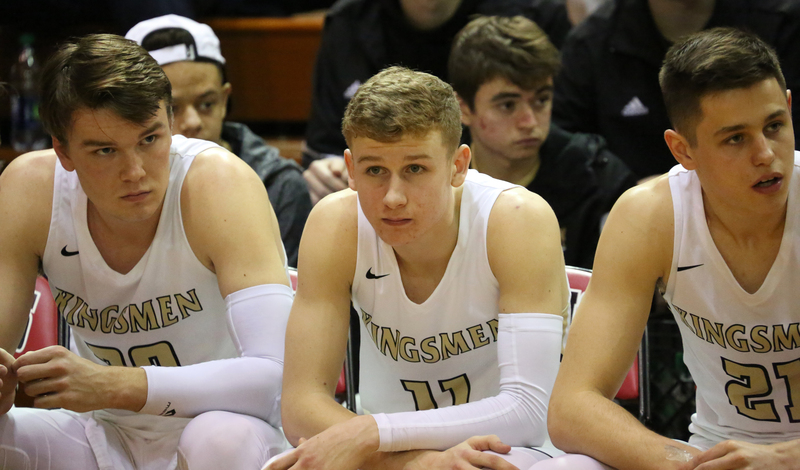 Senior Kingsmen players Beau Ludwick & Drew Lutz hustled for 10 points each. 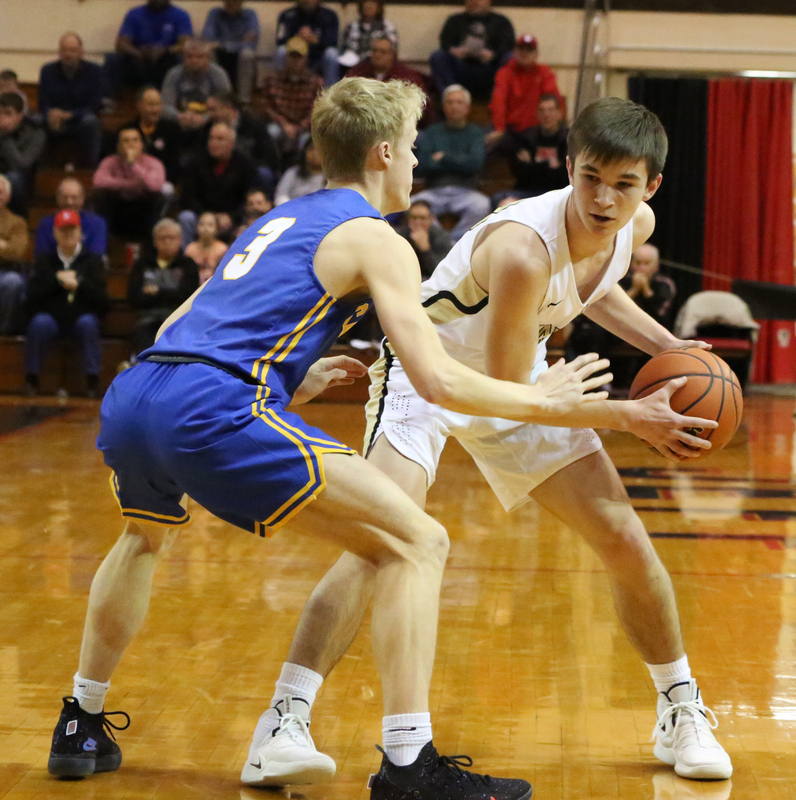 Lutz also had eight assists (click to read the game highlights). 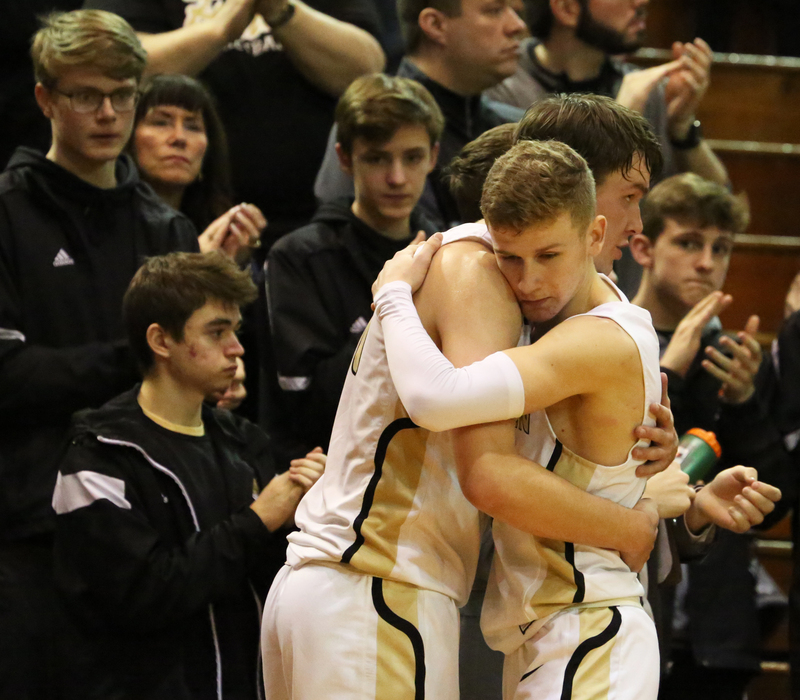 The leadership of the team’s six seniors—Noah Applegate, Kegan Hoskins, Beau Ludwick, Drew Lutz, Gavin Ruth, and Drew Schneider—during the season was unparalleled. Applegate, Ludwick and Lutz will continue their student athletic careers at the collegiate level playing basketball. Applegate at Hillsdale (Mich.) College, Ludwick at Holy Cross College, and Lutz at Bethel College. Hoskins will play baseball at Kankakee (Ill.) Community College. 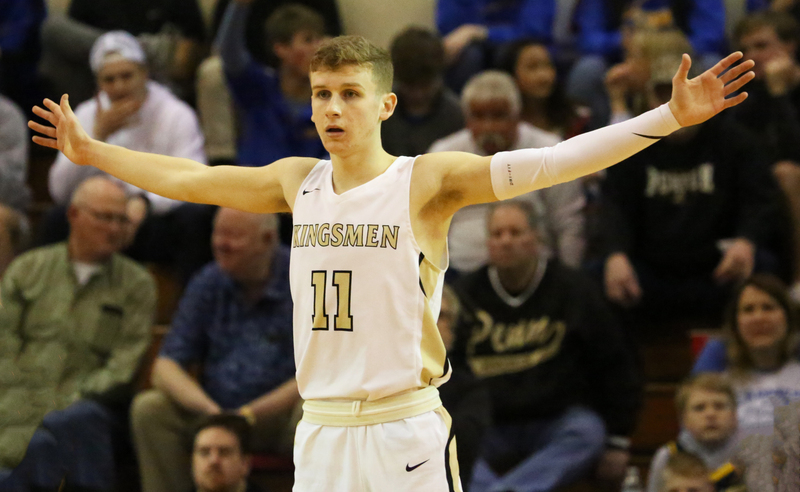 Read more about the Kingsmen amazing run for the 2019 IHSAA Class 4-A State Championship on The Pennant website, on Twitter, and Facebook ... your place for Penn High School athletic news!